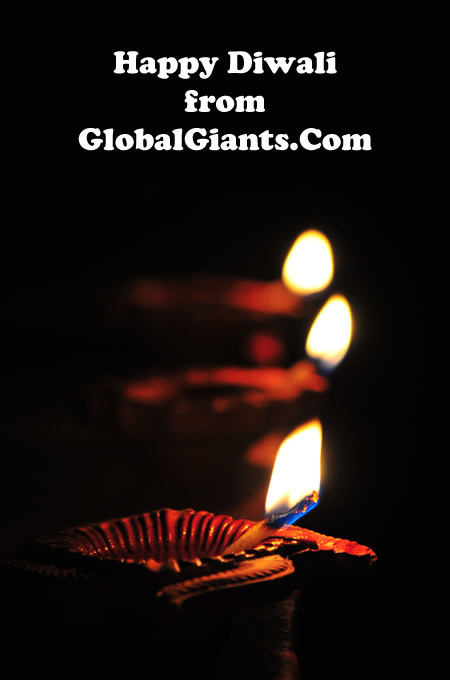 Happy Diwali from GlobalGiants.Com. May the festival of lights brighten up your days and bring you happiness, success, and good health. @GlobalGiants @USPS धन्यवाद. दिवाली कि शुभ कामनाये. 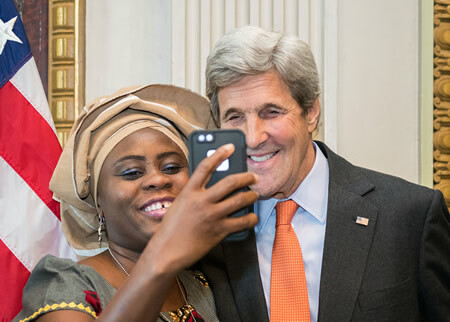 Photo: U.S. Secretary of State, John Kerry, takes a selfie with an outstanding individual who is fighting to end human trafficking at the Annual Meeting of the U.S. President’s Interagency Task Force to Monitor and Combat Trafficking in Persons (PITF) at the White House in Washington, D.C., on October 24, 2016. (State Department Photo). 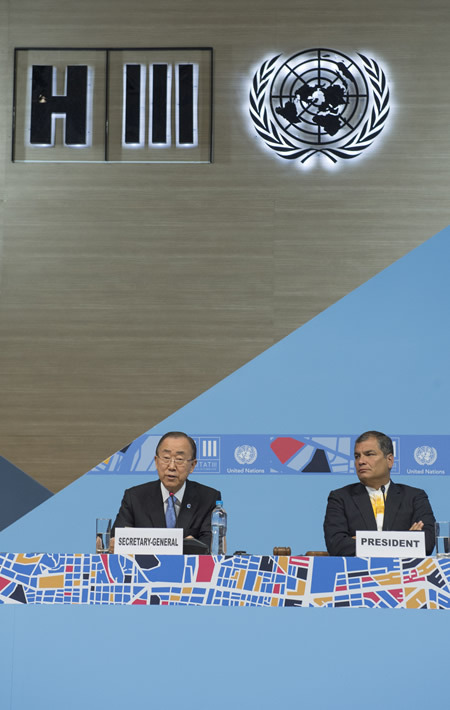 Photo: QUITO, ECUADOR — UN Secretary-General, Ban Ki-moon (left), attends opening of the United Nations Conference on Housing and Sustainable Urban Development, HABITAT III. Rafael Correa, President of Ecuador, is seated on the right. 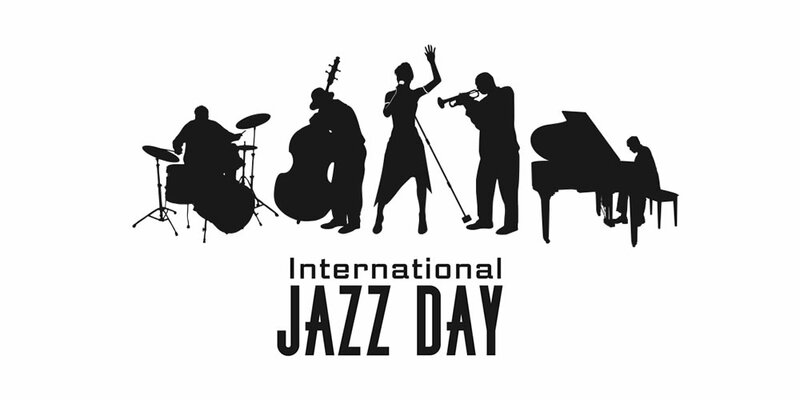 16 October 2016. Quito, Ecuador. UN Photo/Eskinder Debebe. Photos: A model walks the runway at the MD MAKHMUDOV DJEMAL show during day three of Mercedes Benz Fashion Week Russia SS17 on October 15, 2016 in Moscow, Russia. Images provided by Mercedes-Benz Fashion Week Russia & Copyright © Oleg Nikishin/Getty Images. Photos: A model walks the runway at the BELLA POTEMKINA show during day five of Mercedes Benz Fashion Week Russia SS17 on October 17, 2016 in Moscow, Russia. Images provided by Mercedes-Benz Fashion Week Russia & Copyright © Oleg Nikishin/Getty Images. Photo: A model walks the runway at the Fabric by Alena Akhmadullina show during day five of Mercedes Benz Fashion Week Russia SS17 on October 17, 2016 in Moscow, Russia. Image provided by Mercedes-Benz Fashion Week Russia & Copyright © Oleg Nikishin/Getty Images. 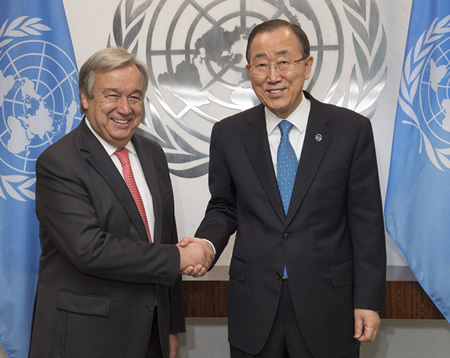 Photo: UN Secretary-General Ban Ki-moon (right) meets with António Guterres, Secretary-General-Designate. The UN General Assembly has appointed Mr. Guterres as the next Secretary-General of the United Nations. 13 October 2016. United Nations, New York. UN Photo/Eskinder Debebe. 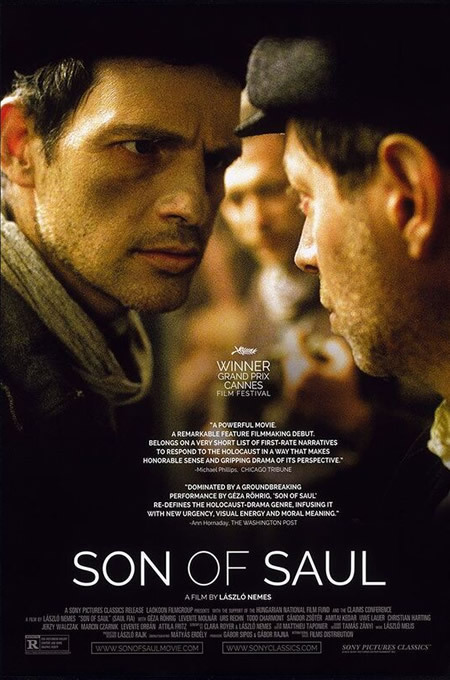 Photo: Poster of “Son of Saul”, winner of the 88th Academy Award for Best Foreign Language Film. Image Credit: © A.M.P.A.S. 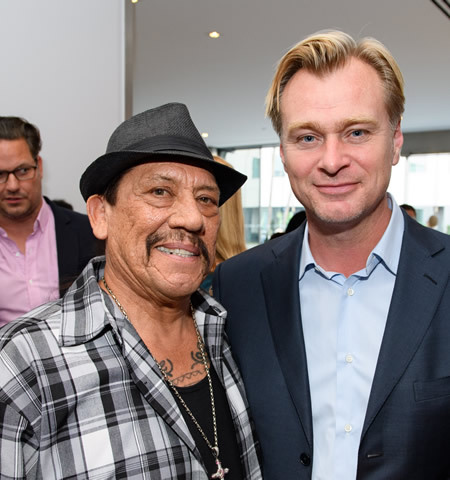 Photo: Actor Danny Trejo (left) and Moderator Christopher Nolan prior to a screening of “Heat” presented by the Academy of Motion Picture Arts and Sciences, on Wednesday, September 7, 2016. Image Credit: Todd Wawrychuk / © A.M.P.A.S. 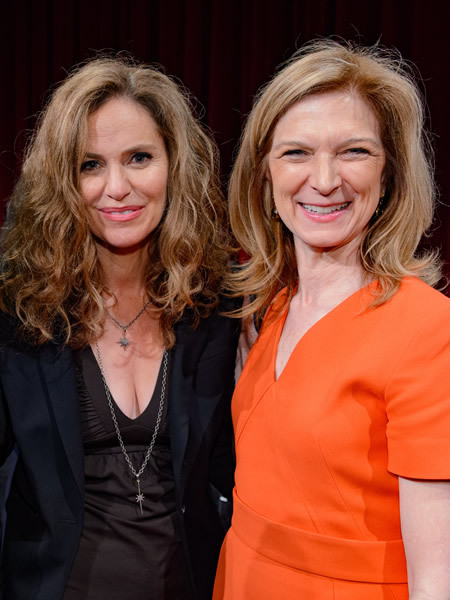 Photo: Actress Amy Brenneman and Academy CEO Dawn Hudson following a screening of “Heat” presented by the Academy of Motion Picture Arts and Sciences, on Wednesday, September 7, 2016. Image Credit: Richard Harbaugh / © A.M.P.A.S. LOS ANGELES, CA - Eighty-five countries have submitted films for consideration in the Foreign Language Film category for the 89th Academy Awards. Yemen is a first-time entrant. 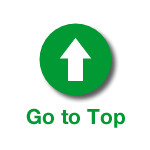 The competitive Foreign Language Film category was introduced in 1956 for the 29th Academy Awards. In celebration of its 60th anniversary, the Academy has created a complete playlist of acceptance speeches and a poster gallery of all the Foreign Language Film Oscar winners. New York City — October 5, 2016 — The U.S. Postal Service commemorated the joyous Hindu festival of Diwali by dedicating the Diwali Forever stamp. The first-day-of-issue dedication ceremony took place at the Consulate General of India in New York City. Joining Mehra in the dedication ceremony were: Ambassador Riva Ganguly Das, Consul General of India; Diwali Stamp Project Chair Ranju Batra; India’s Permanent Representative to the United Nations and Member of the United Nations Security Council (Ret.) Ambassador Hardeep Singh Puri; Sand Hill Group Managing Director M. R. Rangaswami; and Rep. Carolyn Maloney (D-NY). Also known as Deepavali, Diwali celebrates the triumph of good over evil. Spanning five days each autumn, Diwali is considered by some to be the start of the new year. Before the festival, many Hindus traditionally go shopping, clean their homes, open their doors and windows, create intricate rangoli — a vibrant floor pattern traditionally made from materials such as rice powder, colored sand and flower petals — and light diyas with hopes that Lakshmi, the goddess of wealth and prosperity, will visit. In some regions of India, people play games, just as Hindu lore says that the god Shiva did. On the festive main day of the holiday, families pray for Lakshmi, dress up in their best clothes, enjoy lavish feasts and sweets, exchange gifts and light fireworks. Diwali also marks the new year for people in Gujarat and a few other states of India. 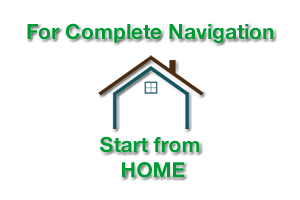 Diwali also is celebrated as a major holiday by followers of the Jain and Sikh faiths. • The Diwali stamp is being issued as a Forever stamp. This Forever stamp is always equal to the value of the current First Class Mail — 1 Ounce price. Photo: Prof. Emmanuelle Charpentier, 2016 Laureate, L’Oréal-UNESCO For Women in Science. Image Credit: Thierry Bouët for L’Oréal Foundation. Image provided by & Copyright © L’Oréal-UNESCO For Women in Science. Photo: A trainee at the 2016 L’Oréal-UNESCO For Women in Science Rising Talents Training Session, Paris. Image Credit: Stéphane Cardinale for L’Oréal Foundation. Image provided by & Copyright © L’Oréal-UNESCO For Women in Science. Photos: France L’Oréal-UNESCO 2016 Awards Ceremony. 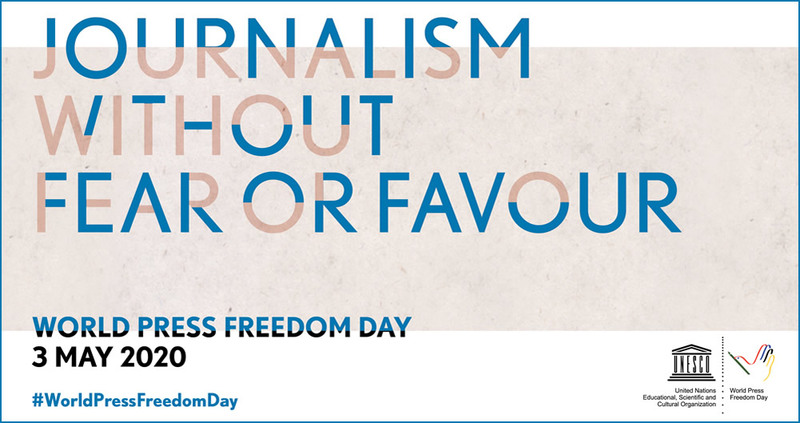 Images provided by & Copyright © Fondation L’Oréal. The L’Oréal Foundation and UNESCO today announced the laureates of the 2017 L’Oréal-UNESCO For Women in Science Awards in the physical sciences. They will receive their awards at a ceremony in Paris on 23 March 2017. Proposed by an international community of more than 2,000 leading scientists, the five laureates were selected by an independent international jury of 12 renowned scientists presided this year by Professor Christian Amatore, of the French Académie des sciences. Each laureate will receive a prize of €100,000 as reward for her contribution to science. Through its “For Women in Science” programme, a worldwide partnership with UNESCO, the L’Oréal Foundation motivates girls in High School to pursue scientific careers, supports women researchers and rewards excellence in a field where women remain underrepresented. Photo: Syed Akbaruddin, Permanent Representative of India to the United Nations, speaks at the special event marking the International Day of Non-Violence, organized by the Permanent Mission of India to the United Nations. The Day of Non-Violence is observed on 2 October, the birthday of Mahatma Gandhi, leader of the Indian independence movement and pioneer of the non-violence philosophy, as an occasion to disseminate the message of non-violence. 02 October 2016. United Nations, New York. UN Photo/Evan Schneider. 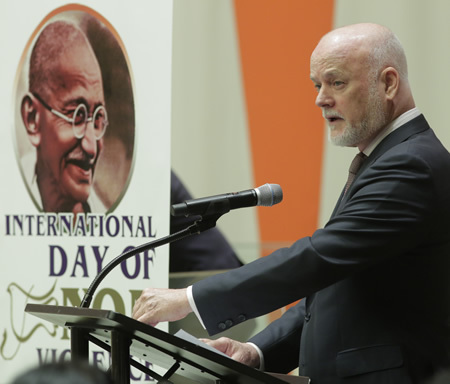 Photo: Peter Thomson, President of the seventy-first session of the UN General Assembly, speaks at the special event marking the International Day of Non-Violence, organized by the Permanent Mission of India to the United Nations. 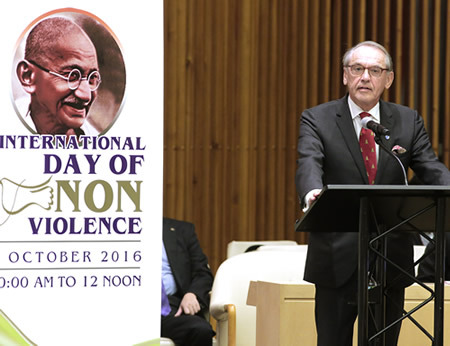 Photo: UN Deputy Secretary-General, Jan Eliasson, speaks at the special event marking the International Day of Non-Violence, organized by the Permanent Mission of India to the United Nations.